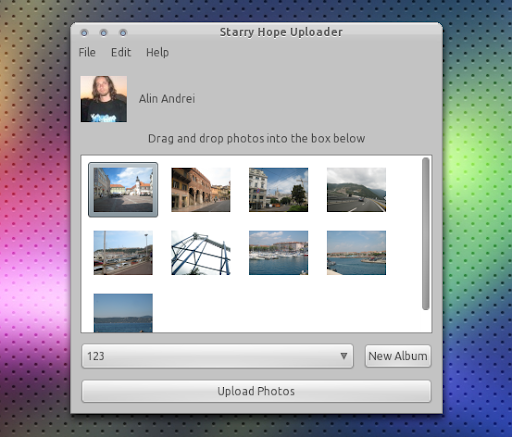 Starry Hope Uploader is a simple, easy to use Facebook batch uploader. To use it, all you have to do is drag and drop some photos to the uploader drag-n-drop area, select the album (or create a new one) and click "upload". In the preferences window you'll also find an option to upload high resolution photos. For now, these are all the features but expect more in future releases! Once installed, launch it by going to Applications > Internet > Starry Hope Uploader.